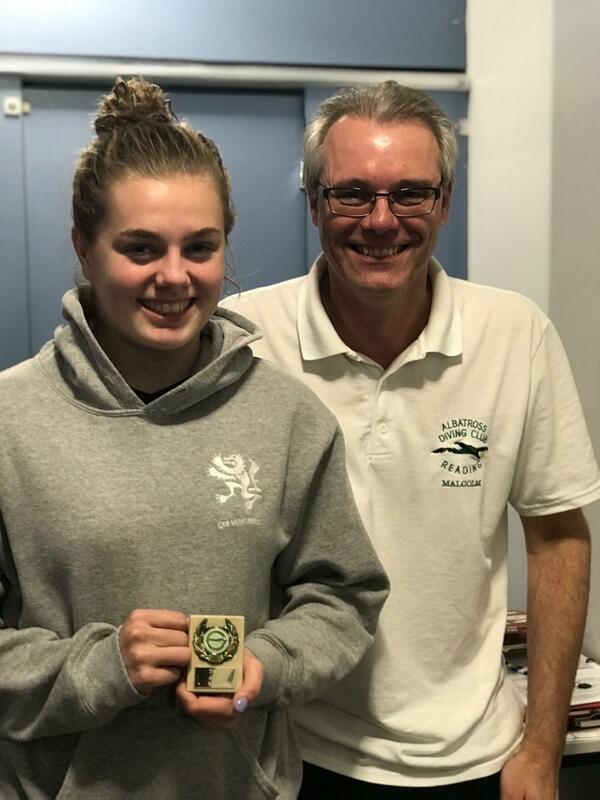 Charlotte West was awarded diver of the month for October 2018. Charlotte was selected for winning on all boards in girls A+ at the Southampton Invitational and for winning at the English Schools preliminary event in Tunbridge Wells. Charlotte has also worked hard to develop her 2.5 somersault divers in all directions to competition standard. Molly Lefever for her significant achievement in qualifying for the girls C 1m final at the Southampton Invitational in a challenging field. Lauren Saunders for winning on all boards in girls D at the Southampton invitational and winning primary girls at the ESSA preliminary.